Are the tests in English? Yes the CAAC gives you the option to take the ATPL exams in English. That said, occasionally some of the questions are poorly translated from Chinese into English, leading to a bit of ambiguity. The question sets are not as 'clean' as FAA or EASA question sets - you need to be ready for this and expect it. Our exam prep app questions emulate the sometimes stilted English language that you will encounter in the actual test. I heard the CAAC just updated their questions. Do you have the 'new' questions? Yes! Our apps now have all or essentially all of the new CAAC questions, including around 600 new CCAR (Chinese Air Law) questions that have stymied so many pilots before. We have had these translated into English designed to emulate the imperfect English that you will see on your actual test and have worked with our airline partners to develop the correct answers for you to study from. As far as we are awware, we are the only test prep source worldwide which offers these new questions in English, making our apps a vital if not indespensible resource for anybody who is serious about passing the CAAC ATPL exam. While our translations may vary a bit from the CAAC questions you see on your actual test, but should be in most cases similar enough to help you study and pass. Please regularly use the update feature from the main menu of our apps to get the latest questions and updates as they become available. Do you include all possible quesitons? While strictly speaking nobody can guarantee that they have all of the questions, and chances are that you will see some new things that the CAAC has capriciously put in there out of the blue, we believe that our prep is far superior to others out there since we uniquely have the new questions, in English that the CAAC is now using. Because we had to translate these from Chinese, our translated questions will likely vary slightly from the CAAC's translations, but our users can typically expect to see very familiar questions on their actual test, including answer choices and correct answers very very similar to if not exactly like in our app. We want to caveat that slightly by noting that the CAAC has been at times known to fire 'bolts from the blue' with updates that nobody can predict and the occasional weird questions from out of nowhere, so there's an element in luck involved in taking CAAC tests that is different from, say, FAA or EASA tests, but in general we are confident that our prep will prepare you far better than any others we know of. I heard you can just study using an FAA ATP app or book. That's old information that no longer holds true. When the CAAC ATPL tests were new back in the early to mid 2000s, this may have been true. Since then, China has gradually introduced an indigenous question set with much more emphasis on Chinese Air Law and China-specific topics. Hence, a China-specific prep like ours is the way to go. Will I pass the exam if I use your prep? Because of the caprices and secrecy of the CAAC, every attempt at their exam is, at the time of this writing, a bit like sitting down at the roulette table. You might get a test with questions that make sense entirely on materials covered in our prep, or you might not. As such, the situation is a bit different than with FAA and EASA tests and you need to be prepared for any possible random outcome as far as what you'll see on the day. That said, if you study hard using our prep to the extent that you're ready for rasonable question variations on the basic concepts (for example, know how to read any Chinese approach chart - there's not much to it) you'll have as good of a chance as any of passing. The only surefire way to improve your chance of passing over our test prep is to spend dozens if not hundreds of additional hours studying a dedicated Chinese ATPL textbook. Doable, sure, but probably not worth it. In our experiecne the few people who do fail typically fail by 10 points or less, so it's far more time efficient to just study a bit more using our app and taking the test again. What really sets our apps apart as the smart choice for CAAC test prep study is our polished and efficient study interface and the fact that we work hard to keep the question sets as up to date as possible while other test prep methods and sources we have seen out there are generally using out-of-date infomration. I am Chinese citizen - can I use your prep? We regularly get feedback from users who are utterly confused by questions pertaining to Chinese instrument approach and similar plates and charts even though as experienced pilots they feel they should be able to figure them out. The answer is surprisingly simple: Chinese plates and charts often have metric values (such as altitude in meters) while the answer choices are in feet and similar units. it is very important that you pay attention to the units in such questions especially as many of the CAAC questions involve unit conversion. You should memorize conversion factors for common unit conversions so that you can do this using your calculator where required. Please describe the purchase process (PC). 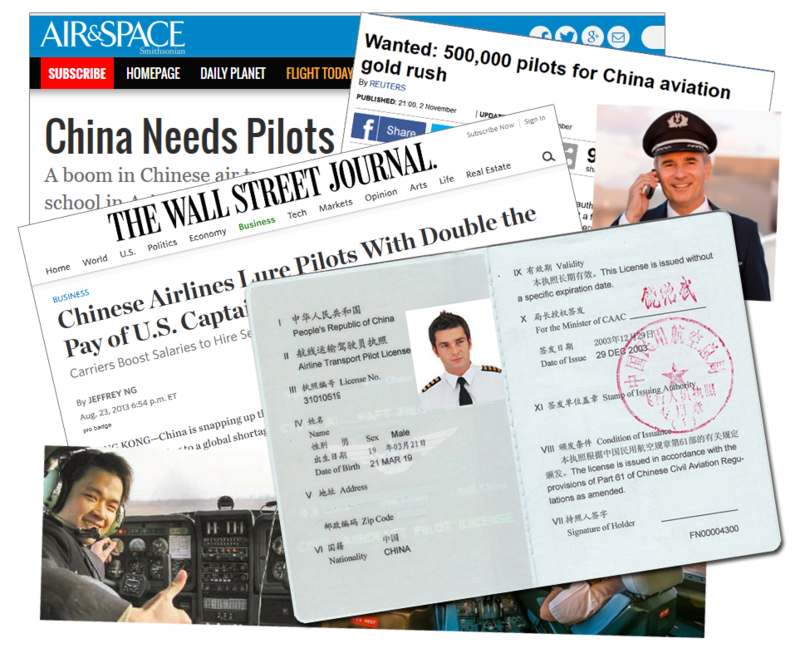 Our GroundSchool China ATPL PC software is sold on a "try before you buy" basis. This means that you are free to download the software from our website, install it on your PC, and try it out. Before you register (purchase) it, however, the software will be locked in a demo mode in which only 5% of the questions are available. This will be enough to let you get a feel for the software, but not enough to actually prepare you in any serious way for your exams. To unlock the rest of the content, you can visit the order page to complete the order process. When your payment has been made, an unlock keycode will be sent to you via e-mail. You enter this unlock keycode into the software to unlock the full content the test banks of your choice. Thank you for your understanding that due to the nature of the electronic sales process and because the software is available on a try before you buy basis, once the purchase has been made, it is not reversible. Please describe the purchase process (iPhone/iPad, Mac, and/or Android). Each of these app versions is available for direct purchase via the official app store / market for that device. Use the links above to go directly to the app pages in the various app stores. Your purchase is, in essence, good for life. Furthermore, we allow you to update the app to the newest available version, FREE, at any time. This is of course not a guarantee that 100 years from now we will still be updating the software, but it does say that whenever we do, you will have access to it. To wit, we have users who have been using our GroundSchool FAA (USA) software for more than a decade now with free updates since their original purchase. However, there is a catch: when you purchase this software, it is for your own, personal use only. You may NOT share this with friends, coworkers, etc. Please direct such people to purchase their own copy! We hope that you find this tradeoff to be fair - in exchange for free upgrades and no set time limit, you agree not to share this software inappropriately. Free upgrades means that in the future you can use this software to review or brush up. The prices for our apps are listed in USD Dollars. As you go through the order process, you will see in a later screen the actual total price displayed in your local currency. Yon can pay in (almost) any currency you'd like. Can I order by Phone, Cheque, PayPal, etc? We offer a wide range of purchase options in your choice of currencies. The SWreg order system allows for a large number of ways to order. To order, for example, by phone, just start the order process online. Then, when you get to the payment stage, it will ask you about payment method - here you will see the full list of choices. Do I have to be online to use GroundSchool - China ATPL? No, you don't. An Internet connection is only reequired for initial download of the app and to get updates. So, for example, you can use it to study while sitting in a passenger seat of an airline flight without an Internet connection no problem.